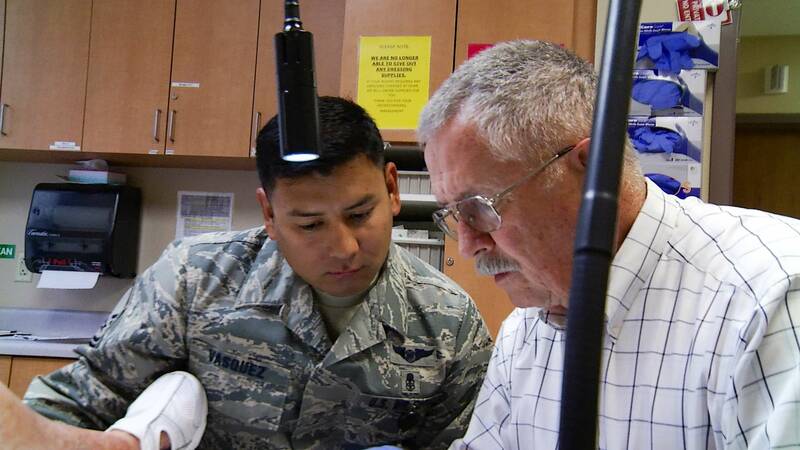 May 31, 2018 / Modified jun 4, 2018 11:57 a.m.
Tucson Medical Center and Davis Monthan Air Force Base have teamed up to help medical professionals at the base more hands-on experience. Medical providers in the Air Force are well trained, but local officials say they can learn more with better hands-on experiences. Michael Lavor is a retired vascular trauma surgeon. His medical career began as a Navy corpsman with the Marines in 1967. He returned to the military seven years ago as a surgeon and ran a forward operating base in Afghanistan. 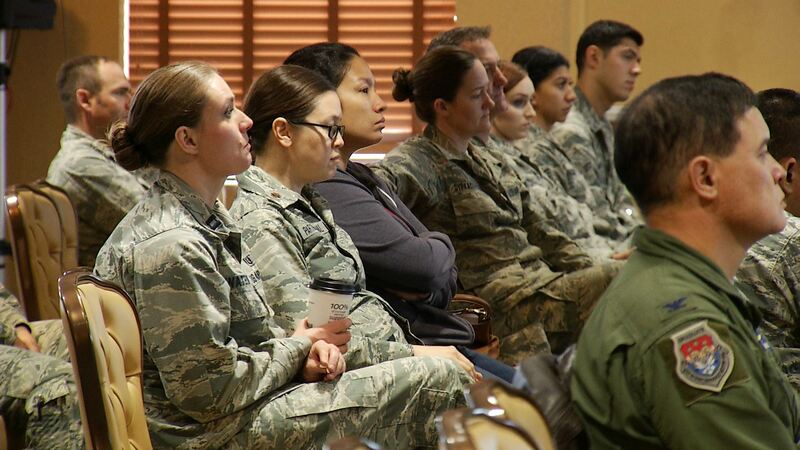 That medical training and military history brought him to Davis-Monthan Air Force Base in Tucson to talk with base officials about enhancing the hands-on experience for medical technicians, nurses, and doctors. VIEW LARGER An Air Force member's patches representing units at Davis-Monthan Air Force Base. 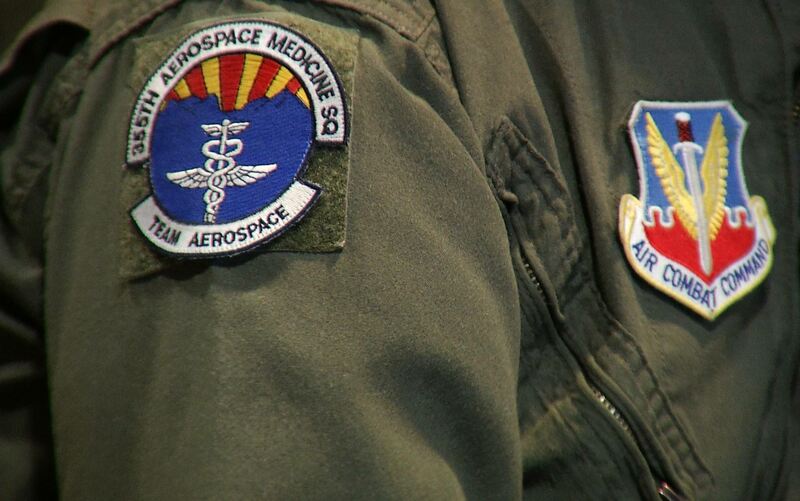 Base officials like the idea because Davis-Monthan has only outpatient facilities. Base officials teamed up with Tucson Medical Center to set up weeklong rotations through different departments at the hospital. "By doing some of these cases in town and getting our folks in rotations with the medical centers in town it gives them that opportunity for their clinical currency to see some more complex cases that they need," said Lt. Col. Brent Cunningham, 355th Medical Squadron Commander, Davis-Monthan AFB. Participants in the rotation will spend time in the emergency room, the intensive care unit and the wound care center. Master Sgt. Pablo Vasquez was one of the first to go through the rotation. He said he was very happy with the opportunity, especially to work in the wound care center. VIEW LARGER Master Sgt. Pablo Vasquez assists in treating a patient with retired vascular trauma surgeon Michael Lavor. "Overseas … there is more than likely to be patients that have various types of wounds that we not only as medical technicians but also nurses and providers are going to see, which gives us the ability to assess the specific type of wound and to treat accordingly," said Vasquez. At the wound care center, he had a chance to work with Lavor. Both men were pleased with the experience. "When they go into a war zone or when they go into a zone where they are taking care of people who have been triaged out, you are going to see wounds. And be able to work with them and actually feel how you put a dressing on, the different techniques of doing something from some of these nurses who are highly experienced here is very beneficial," said Lavor. The toughest critics, the patients, also seemed happy. "It's great," said Barbara Liittschwager. Organizers hope the program will continue long into the future.